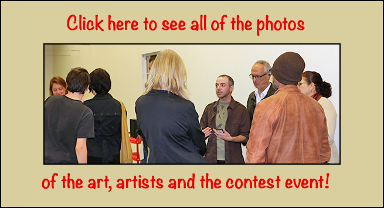 On December 5th FPSSM was proud to celebrate the winners of our first, hopefully annual, art contest to create nature inspired artworks for our volunteer t-shirts and fundraising products. 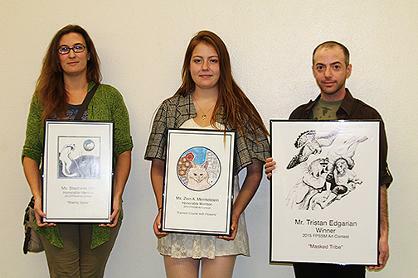 From left to right: Stephanie Elm, Honorable Mention Winner with her entry "Sharing Space"; Zion Mermelstein, Honorable Mention Winner with her entry "Earnest Coyote with Flowers"; and Tristan Edgarian, 1st place Winner with his entry "Masked Tribe." Congratulations winners & thank you for submitting your beautiful art to our contest! 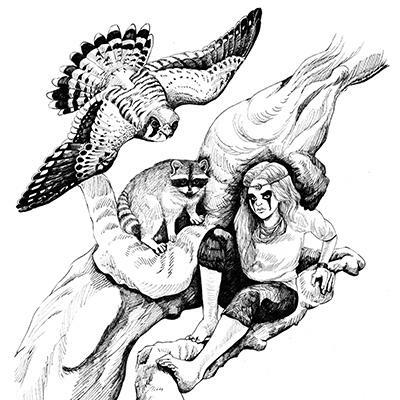 "Sharing Space" by artist Stephanie Elm, is our first Honorable Mention Winning artwork. 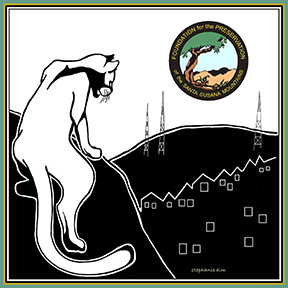 Stephanie is a Chatsworth resident who is passionate about wildlife and habitat preservation. To read Stephanie's statement and to learn more about this artist, please click HERE. 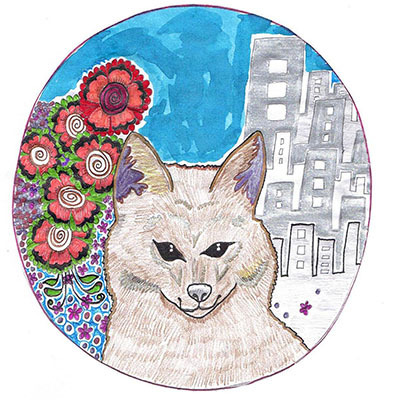 "Earnest Coyote with Flowers" by Zion A. Mermelstein, is our 2nd Honorable Mention Winning artwork. Zion is a high school student in Chatsworth. To read her statement and learn more about this artist, please click HERE. We couldn't have made this event a reality without the help of our volunteers, board members and friends in the community!